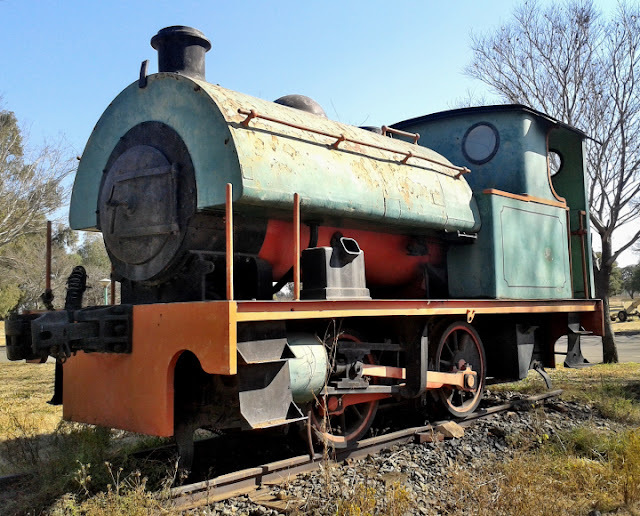 In July 2013, Igmar Grewar, surprised me with some images of a relatively unknown industrial locomotive which he spotted plinthed outside the Vaal Teknorama Museum. The Museum is located at 1 Beethoven Street, Duncanville, VEREENIGING. You may find more information about this museum here: Vaal Teknorama Museum Link 1 or Vaal Teknorama Museum Link 2 or Vaal Teknorama Museum Gallery. 1 July 2013 image courtesy Igmar Grewar. 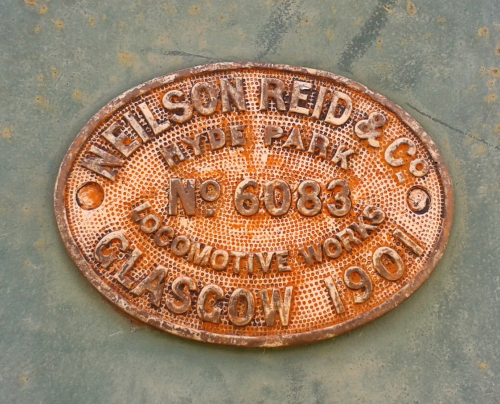 With the good help of John Middleton it was confirmed that this little 0-4-0ST (Saddle Tank) engine was built in 1938 by W.G. 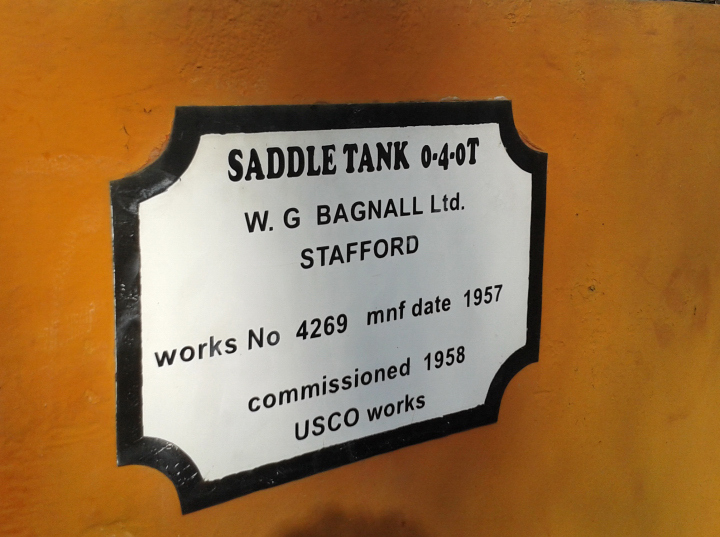 Bagnall Ltd of Stafford in England as their works number 2588. The locomotive has a 12 in. cylinder diameter and 18 in. stroke design. It was first used by Stewarts & Lloyds Ltd of Vereeniging. John Middleton noted that the 1957 information refers to the works No at Bagnall when the locomotive received a new boiler. At this time the locomotive was in service of USCO (Union Steel Corporation Ltd - Vaal Works at Vereeniging.) Dating from 1912, USCO was the first steel works in South Africa. Strangely the locomotive also carries the maker plates of a completely different SAR class. How that came about is unknown. 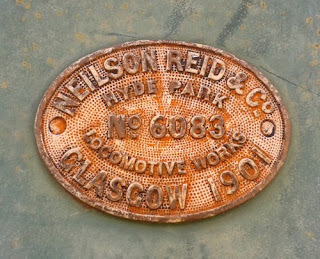 John Middleton pointed out that these Neilson Reid plates belong to class 7C 1063 which was scrapped in 1962 at East London. 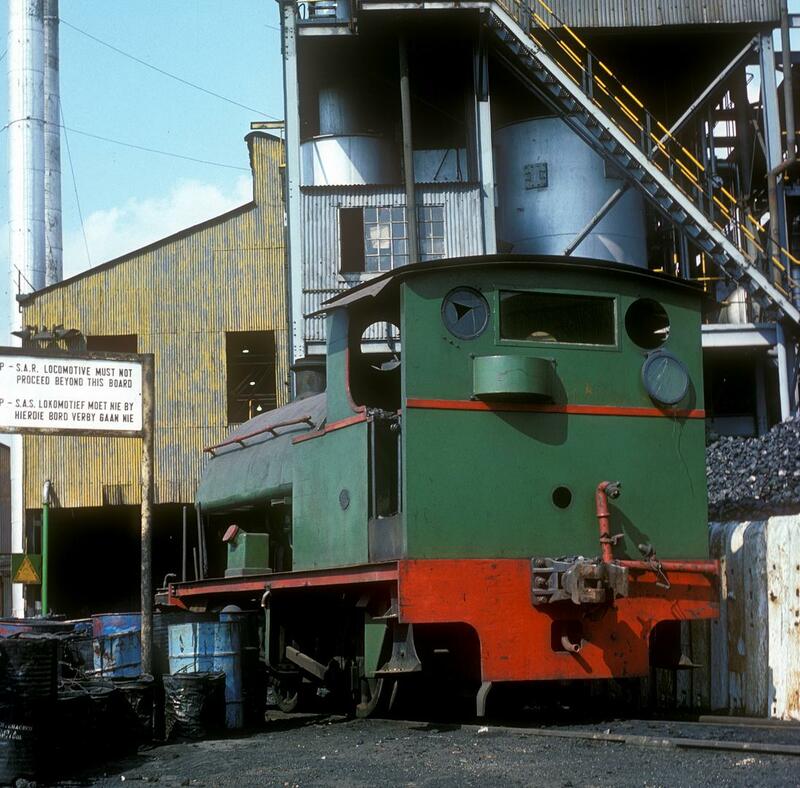 This 11 Oct 1976 image comes courtesy of Roger Griffiths and shows 0-4-0ST WB 2588/1937 at Stewards & Lloyds in Vereeniging. 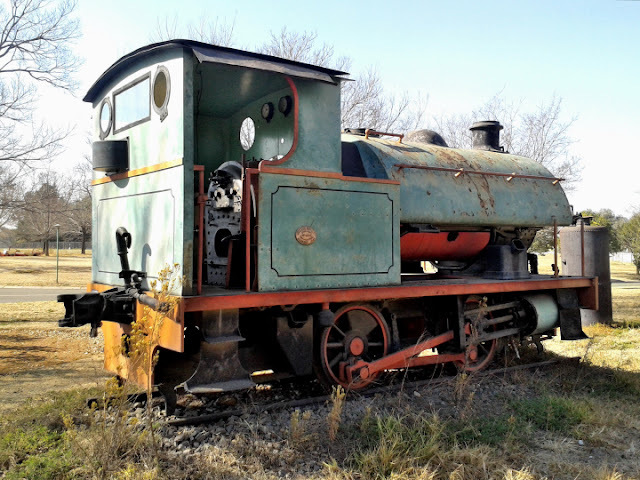 By 1991 the locomotive was preserved at the Council Services Depot in General Smuts Ave in Duncanville - apparently waiting positioning at the to be built Teknorama Museum. 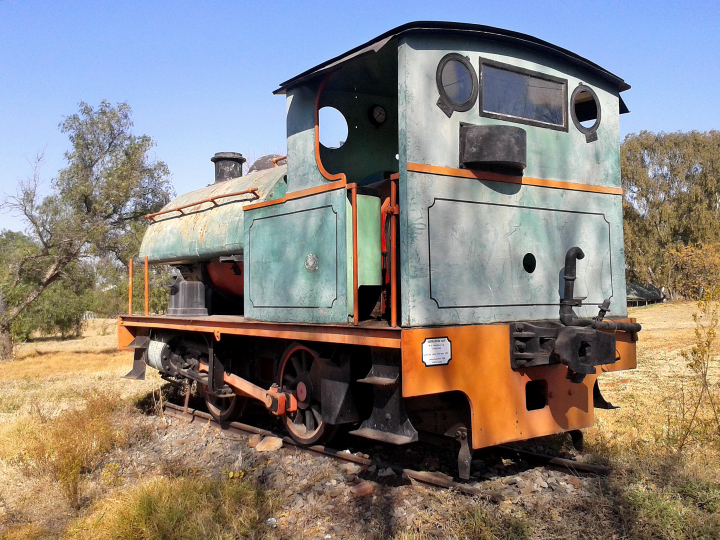 A similar Bagnall, named SALT RIVER (Bagnall no 3056 built in 1953) was used by Escom at the Salt River (Cape Town) power station. This locomotive had a more powerful design. More info here.